– boarding schools for troubled youth and therapeutic boarding schools. 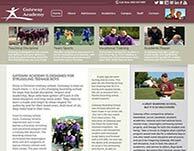 New Hope Boys Home (Texas) is a Christian boarding school that offers life transformation to boys who are struggling with life-impacting behaviors, addictions or attitudes. 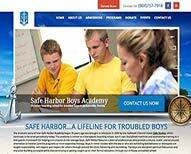 Safe Harbor is a lifeline for troubled boys. The maritime-based boarding school program in Jacksonville, Florida is similar to a therapeutic boarding school, but it uses maritime training as a therapeutic model. Future Men is a Christian boarding school offering a highly structured and monitored setting for young men to work on their future. Gateway Boys Academy and Ranch helps teenage boys who have gotten off track in life need discipline and respect for authority. Teen Challenge Adventure Ranch was the very first Teen Challenge® therapeutic ranch for teenage boys. Vero Beach Boys Home is a safe haven for boys ages 12-17 years of age with out-of-control or at-risk behaviors. Should you need help finding ranches for troubled teens, boarding schools, boarding schools, or Christian boarding schools for boys, please let us know. Other boys homes searches include: therapeutic boarding homes, Arivaca boys ranch, Arizona boys ranch, Azleway boys ranch, Bedford boys ranch, boys ranch arizona, Byron boys ranch, Cal Farley boys ranch, Calvary boys ranch, Dakota boys and girls ranch, Florida boys ranch, Florida sheriffs boys ranch, Good Samaritan boys ranch, Mccrossan boys ranch, Morningstar boys ranch, Oakhill boys ranch, Rawhide boys ranch, West Texas boys ranch, Whetstone boys ranch and Yellowstone boys ranch.